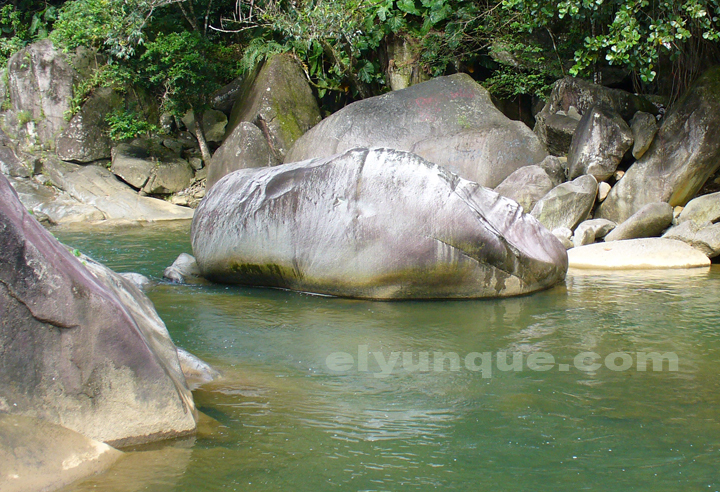 This is the Rio Blanco, in the El Yunque Rain Forest, just below one of the Petroglyph sites. The Taino Indians must have spent a lot of time here, as they have created many rock carving in this area. This is a good day hike , but you may need a guide. 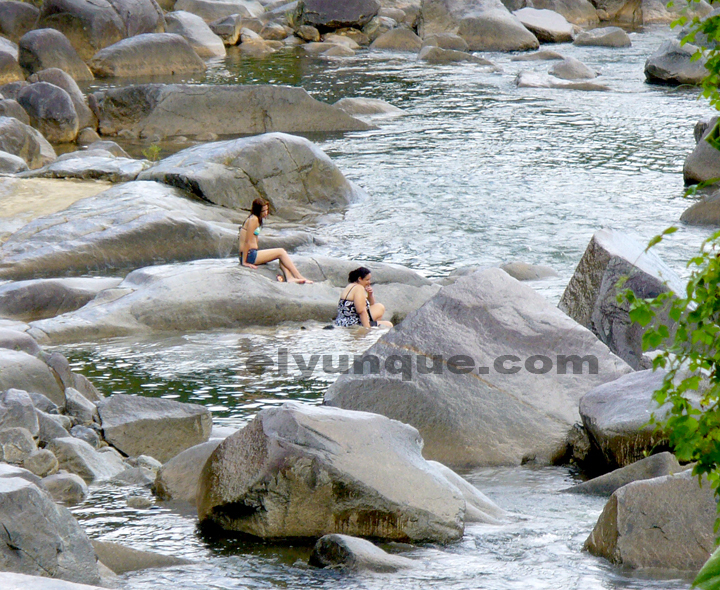 The rocks are treacherous if you don't know what you are doing.. Sundays are popular days for local people to come here to picnic and swim.